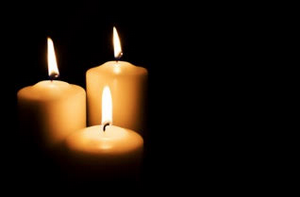 Six short videos – When we were making the video "The Radiance of the Dark," we shot a long interview of Joan Sutherland by Piper Leigh, some of which became part of Radiance. The entire interview has been edited into six short pieces called Small Dreams. These spontaneous reflections on personal, historical, philosophical, and practical aspects of our Way give some context and back story to Joan's more formal teaching. Two thousand years ago, a Buddhist text calledThe Sutra that Vimalakirti Speaks gave voice to an extraordinary ordinary man who said, "I am sick because the whole world is sick." Now, in a commentary on the sutra called Vimalakirti & the Awakened Heart, Zen koan teacher Joan Sutherland, Roshi writes with lyricism and insight about what those words mean in our own age of profound disturbance and uncertainty. The book is a timeless reminder that if our sorrows are interwoven with the sorrows of the world, so too is our awakening inseparable from the awakening of the world. This is the first volume in a collection called Pilgrim's Bundle, small handbooks for clouds-and-water wanderers on the Way (whether you ever leave home or not), meant to be tucked into a backpack or under a pillow, used, argued with, scribbled on, and shared. 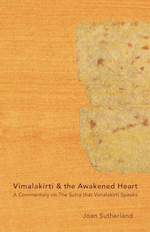 Vimalakirti speaks to us from within this deepest of all reconciliations, laying out a Way for healing the human heart. In Autumn 2012, Zen koan masters John Tarrant and Joan Sutherland came together to converse about The Blue Cliff Record, the first great collection of koans, now almost 1,000 years old. It's a text filled with stories that change you. We are thrilled to be able to offer this DVD record of the event – a chance to witness their collaboration in a set of live conversations about Zen, koans, and enlightenment. I learned something about my own endarkenment, and how it can be a gate, and is so necessary (96%!) and important to explore that dark. Joan Sutherland is one of the true teachers of our time and she has made a little film that is full of her luminous and clear teachings. It's beautiful and encouraging.